Our blog tells the stories of the incredible people we work with and the places we find ourselves in. 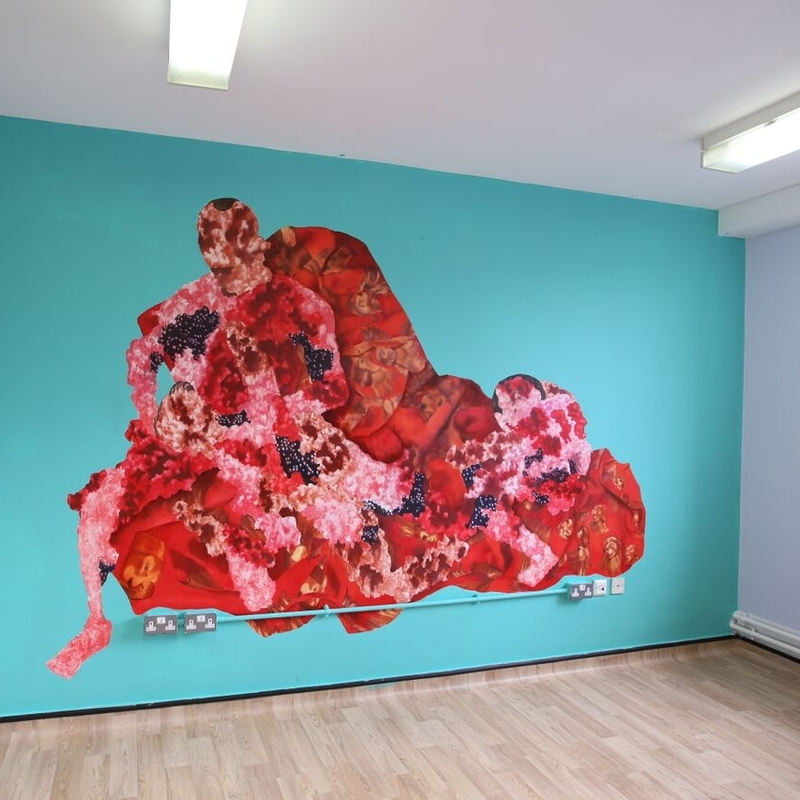 We are now nearing completion of our project at Bluebell Lodge, with just one artwork remaining to be installed. We’d like to share with you the amazing work that has been created and the dramatic ways the environment has been transformed. This September marks a significant new beginning as we moved into our very first office space and established a proper headquarters for the charity. We are very proud of our new home and excited about the opportunity the space provides for holding events, talks and workshops. 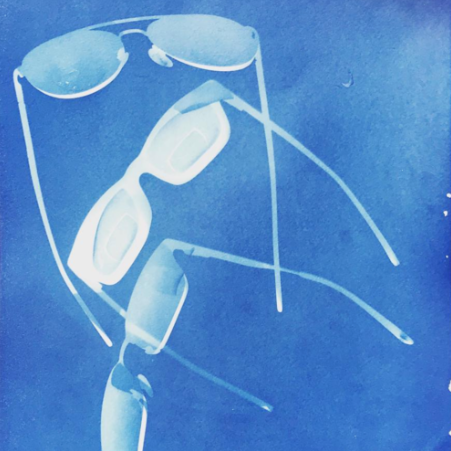 Sutapa Biswas channelled her passion for nature and preoccupation with the presence of distant places in the memory into the work she created for Garnet Ward. 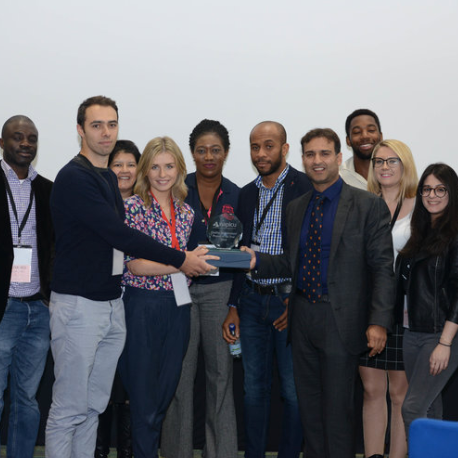 The award highlights how a physical environment on a ward can have a big impact on the quality of the patient experience and the effectiveness of the care they receive. 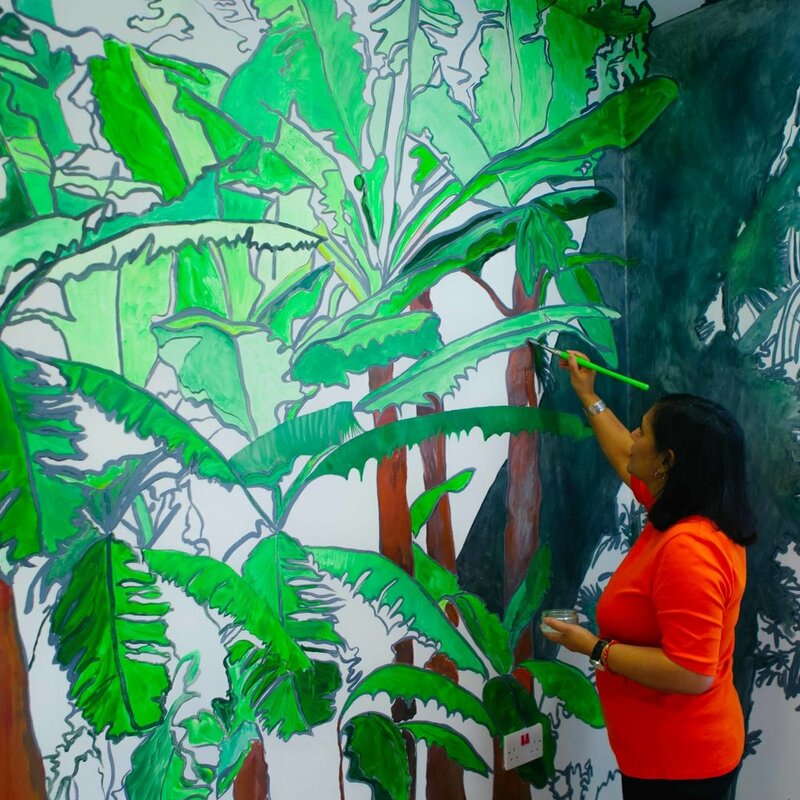 Many of the artists we have commissioned have created work which aims to bring the outside in, recognising patients’ limited contact with nature if they are confined to a ward and their freedom is restricted. 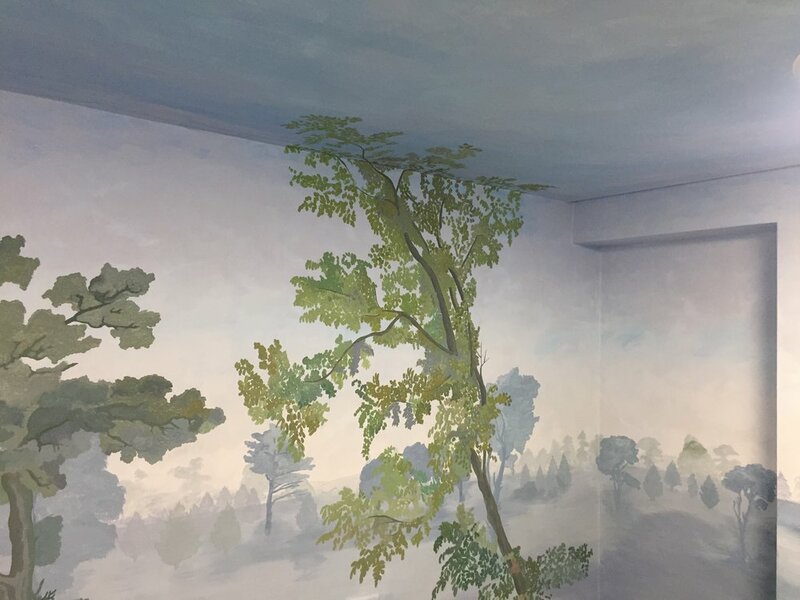 From Sutapa Biswas’ immersive garden mural, to Julian Opie’s birds, Michael O’Reilly’s scenic painting to Steve Macleod’s landscape photography, our artists have used the natural world to transform enclosed clinical spaces in a whole variety of ways. Documentary photographer Mark Power and Jo Coles, an artist specialising in large scale structures for outdoor events and community projects, worked collaboratively to create work for the Phoenix Unit’s Relative’s Room. Two years ago today we became a charity and we are excited to take this opportunity to announce the launch of our new blog.